Loudoun County, Virginia has one of the most diverse landscapes in the Commonwealth. Some know Loudoun for its booming tech industry while others picture Loudoun’s rolling countryside that boasts wineries, horse farms and historic estates. But, Loudoun is so much more, filled with a rich history and some of the best kept secrets around! Read more to find out five facts that will shock you about Loudoun County, Virginia. Loudoun County was a major location during the Civil War, with its proximity to the Potomac River, Blue Ridge Mountains and the Shenandoah Valley. 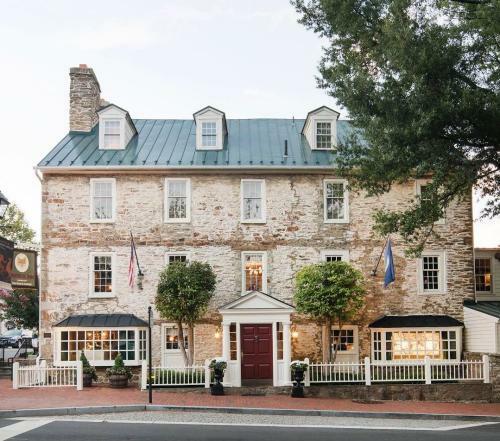 To explore Civil War history, take the John Mosby highway (named after the Gray Ghost Confederate Colonel himself) to The Red Fox Inn and Tavern which remained as headquarters and a hospital for the South during the war. Injured soldiers were cared for in the tavern rooms located in the basement and the current pine service bar was made from a field-operating table used by a surgeon who served in the cavalry. One of the most notable battles during the war was the Battle of Balls Bluff in 1861, which was the result of an inexperienced captain mistaking a line of trees for a line of tents, which started the attack. You can now tour Ball’s Bluff Battlefield Regional Park and view the third smallest national cemetery in the United States. With its proximity to major cities, Loudoun County is an accessible destination just 25 miles from the nation’s capital. Here, enjoy wine tasting, historic sites, delicious bites, outdoor recreation and craft beer tastings. Loudoun County is also home to Dulles International Airport, one of America’s busiest airports. Reach Loudoun byway of White&apos;s Ferry, connecting Montgomery County, Maryland and Loudoun County, Virginia by the Potomac River. 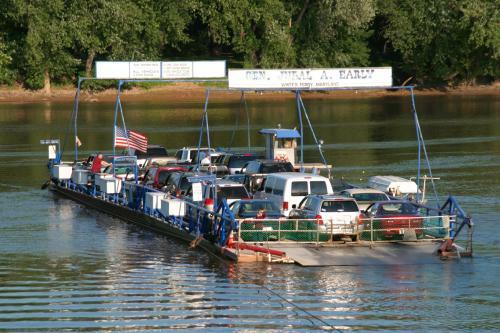 View these five things to do after arriving in Loudoun from White&apos;s Ferry; it&apos;s just a hop, skip and a jump away! President John F. Kennedy and his wife, Jackie Kennedy Onassis spent a great deal of time in Loudoun and in 1963, a Roman Catholic church was built in Middleburg that catered to the president, complete with bulletproof glass and a phone that connected directly to the White House. Jackie spent countless hours horseback riding throughout Loudoun’s countryside so when it came time to design a home, she chose a 166-acre estate in Middleburg that featured gated pastures and horse stables. She also rode at Morven Park where she occasionally showed horses. Morven Park is also home to the famous Presidential pardoned turkeys, Honest and Abe who now reside happily on the 1,000-acre historic estate that was once home to Governor Westmoreland Davis. Thanks to President Obama, these famous turkeys will live the remainder of their lives atop Turkey Hill. And if you’re interested in sipping wine like a first lady, head to Greenhill Winery & Vineyards where Michelle Obama deemed the Seyval Blanc one of her favorite wines. 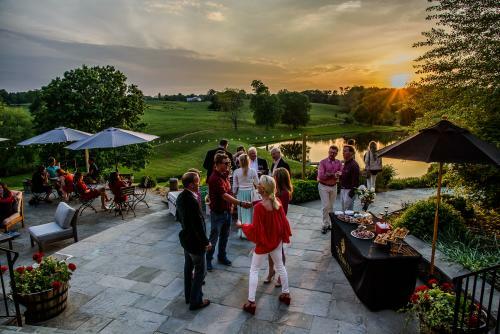 With more than 40 wineries and even more on the horizon, Loudoun County offers the most wineries out of any county in the Commonwealth of Virginia, making this a true wine-lovers destination. In 2016, 19% of Virginia’s grapes were grown in Loudoun and wine production was valued at $36 million. To experience a true Loudoun wine, visit wineries like Chrysalis Vineyards, Tarara Winery or Breaux Vineyards, which produce 100% of their grapes. Experience award-winning wine featured in the 2018 Virginia Governor&apos;s Cup and wine competitions across the country. Roots 657 located in Leesburg is an eat-in and take-out cafe and market offering regionally curated products such as house-made soups, salads, sandwiches and fresh baked goods. Owned by Certified Master Chef, Rich Rosendale, this restaurant has some serious clout. With over 55 international cooking competitions under his belt, Rich brings a wealth of experience to the concept for Roots 657. Owned by Chef Bryan Voltaggio, AGGIO is conveniently located in Ashburn’s One Loudoun town center. As a finalist on Top Chef Season 6 and Top Chef Masters Season 5, Bryan was the first chef to compete on both Top Chef and Top Chef Masters. The menu features fresh Italian flavors and pasta made from scratch in-house. 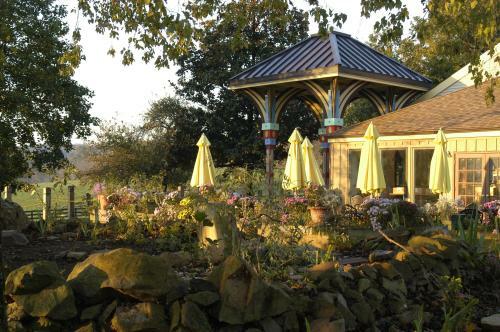 Inspired by the local farm fresh ingredients the region has to offer, The Restaurant at Patowmack Farm menu changes daily based on the current available bounty. As one of the first farm restaurants in the nation, Chef Tarver King maintains that farm-to-table integrity with every dish served. Amongst several impressive accolades, Chef King was named the RAMMY Chef of the Year in 2017 and was a finalist for the James Beard Foundation’s Best Chef, Mid-Atlantic. 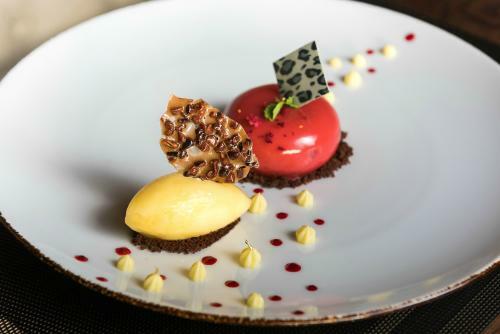 The Village at Leesburg shopping center got a whole lot sweeter when world-renowned pastry chef Santosh Tiptur opened his first solo restaurant, The Conche, in 2017. As a Food Network competitor, Chef Tiptur is well known for his decadent designs sure to exceed every chocolate lover’s fantasy. The Conche features a chocolate boutique but also a restaurant with a full menu to dine in for dinner or even enjoy a Sunday brunch. The impressive dining room also boasts a state-of-the-art chocolate lab so guests can get a behind-the-scenes glimpse at the handmade production process. Visit Loudoun County, Virginia to explore these interesting facts first-hand and to uncover your favorite shocking fact about the county! Share your experience with us by using #LoveLoudoun on social.